It’s with disgruntled reluctance that I say congratulations to Tom Brady and the rest of the New England Patriots for their victory in Super Bowl XLIX. As a Miami Dolphins fan, it really irks me to see Brady hoist the Lombardi trophy for the fourth time; him standing there with his smug grin, super model wife, and UGG shoes. I don’t think I’m alone in those feelings. I think outside the New England area, people are tired of seeing the Patriots succeed. I think many people were not so much pulling for Seattle as they were rooting against the Pats. It’s not unlike the Miami Heat with LeBron James. Even though they won only two championships, it seems fans nationally wanted them to lose all the time, and all other teams raised their game when going up against Miami. That’s what happens when you elevate yourself to a level of greatness. This dynamic is especially true in our spiritual lives. It’s been my experience there’s no greater hater than Satan himself. And when you start elevating your relationship with Jesus, the enemy works overtime to try and bring you down. I am so fortunate to have a perspective of how far I’ve come in my faith journey, and I can’t fathom gong back to the life I was living just six short years ago. Although I had belief in God, I was not living in Him. I was not fostering a relationship with my Lord, surrendering my troubles to Him and acting out of faith. Instead, I was living like a blind man, unable to see what God was showing me and unwilling to listen to His calling. I was distracted by the worldly things Satan put in my life on a daily basis. I was the proverbial seed that fell on rocky ground. But I was able to get right with God and turn my life around. And since that moment, I’ve grown in my faith, made more time for His Word, and have seen great things happen in my life. Through my church, I’ve been baptized as an adult, given back to our community, traveled on a mission trip, and even preached in front of our congregation. I’ve definitely elevated my faith and my life to heights I’d never previously experienced. …and then the hater of all haters showed up. I recently had an experienced that shook me to my core. It rattled me, enraged me, and made me want to lash out at the world. It was the result of the enemy’s tactics, manipulating someone to cause others great pain. Six years ago I would have lashed out. I would have overreacted, most likely with rage and violence. But this journey I am on, a walk I share with Jesus Christ, has been a training of sorts. Every sermon I’ve listened to, both at church and via podcast, prepared me for that moment. Every reading plan in my Bible app prepared me for that moment. Every moment of prayer, both alone and with others, prepared me for that moment. In that moment, grace and wisdom prevailed. Satan hates its when I focus on God and surrender myself to Him. 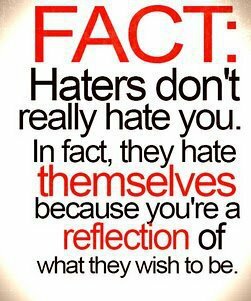 Satan hates it when I work to be a reflection of God’s love to others. Satan can’t stand the fact that I have what he used to have; God’s love and a place in Heaven. So he does whatever he can whenever he can and through whomever he can to get to me and pull me down. And the stronger I grow in God, the harder Satan works to hinder me. As a Christ follower, I am called to invite others through my words and actions into God’s light, and that’s bad for business for the supreme of all haters. 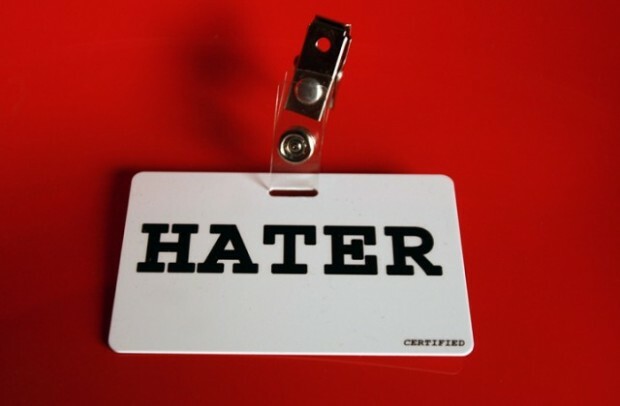 I never would have guessed it’s such a blessing to be hated. Lee and I are all aboard with changing what we eat and and focusing on nutrition. We are also fans of The Miami Heat (Lee keeps calling Dwyane Wade her ‘baby daddy’, but I still don’t know what that means). We’re also fans of Michelle Obama and the work she’s doing to promote better nutrition. Put all those together, and you get this video. 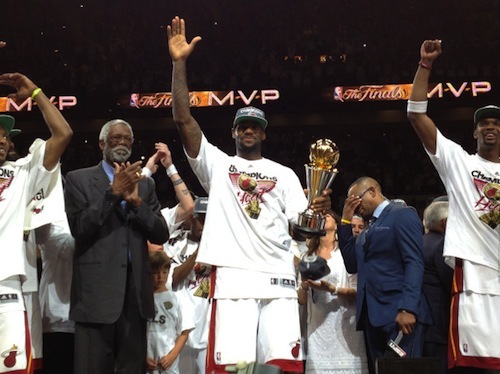 Congratulations to LeBron James and the rest of the Miami Heat for winning the NBA Championship! Neither of the teams I was pulling for won today. Yes, I was rooting for an all-Harbaugh Super Bowl. Instead, we got a rematch of Super Bowl XLII. ..oh, and the Miami Heat lost today, too. Inspired by my awesome and wonderful wife, who on September 6 started a daily photoblog on her site, I will attempt to post a photo to my blog on a daily basis. To be honest, I resisted this idea for such a long time. For me, it was not what blogging is about. However, something happened recently that made me change my mind. It is for this reason that I want to foster my blog so that it becomes my own personal living, breathing history book. I want to do this for my nephew, Hunter, and for my step-children, Natalie and Daniel. I want to fill it with stories of my childhood, of coming of age and of finding myself. So, in the spirit of better documenting my life and my experiences, as well as Project 365, I present to you Day 1 of my photo journey. I hope you enjoy. 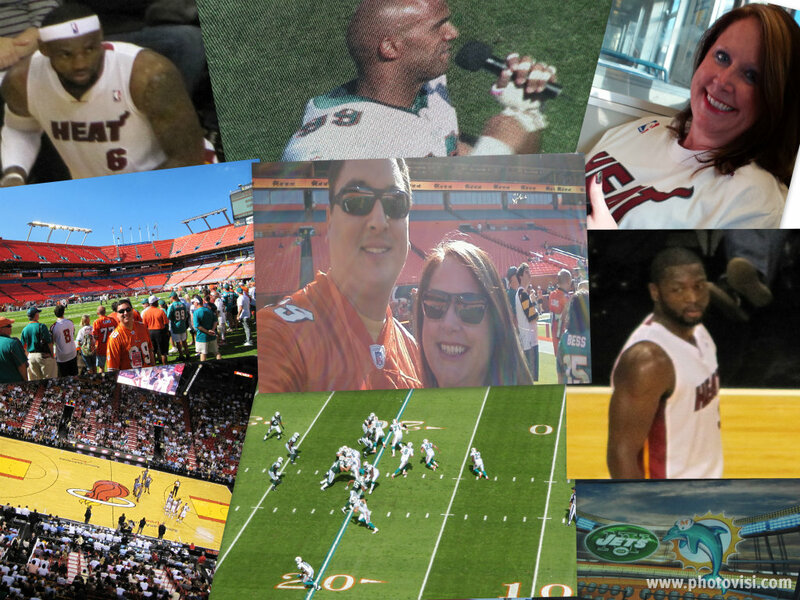 We rang in the first day of 2012 by taking in the Miami Dolphins’ final game of the season – which also happened to be Jason Taylor’s final game in the NFL – and then hopped on the Metrorail to downtown Miami to attend the Miami Heat game against the Bobcats. Both home teams won, and it was a fun, albeit exhausting, experience for Lee and me.